Have you ever wondered where the modern wrist watch design came from? 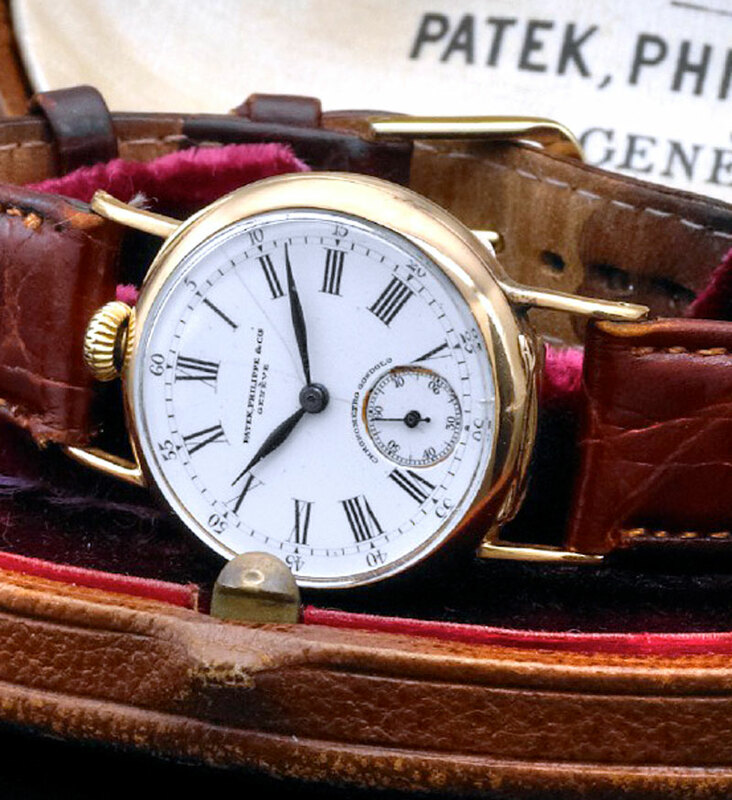 The first wrist watches were essentially pocketwatches, with lugs soldered onto them, and here is a superb example of what is likely one of the first men's wrist watches ever made. 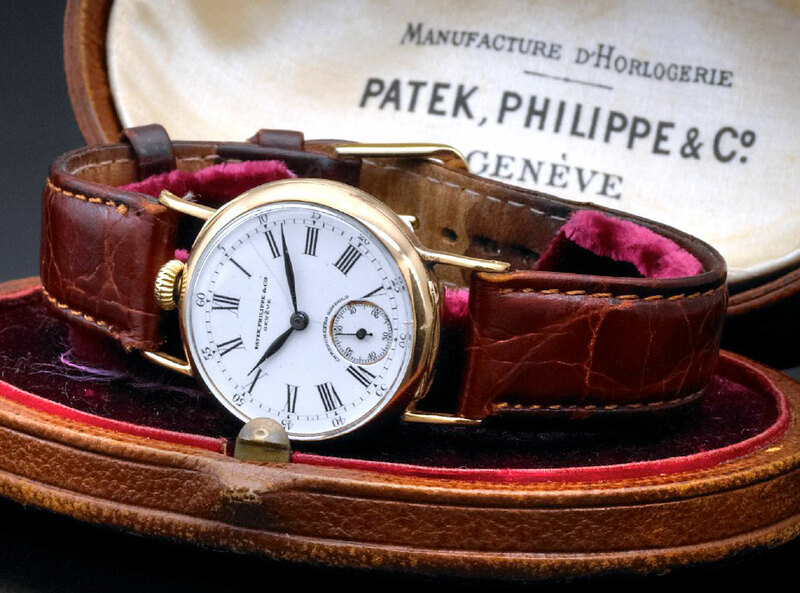 This rare example was made by Patek Philippe in 1905!!!! This is the earliest example I have ever seen of a wrist watch for whatever it is worth. The photo appears courtesy of Antiquorum. 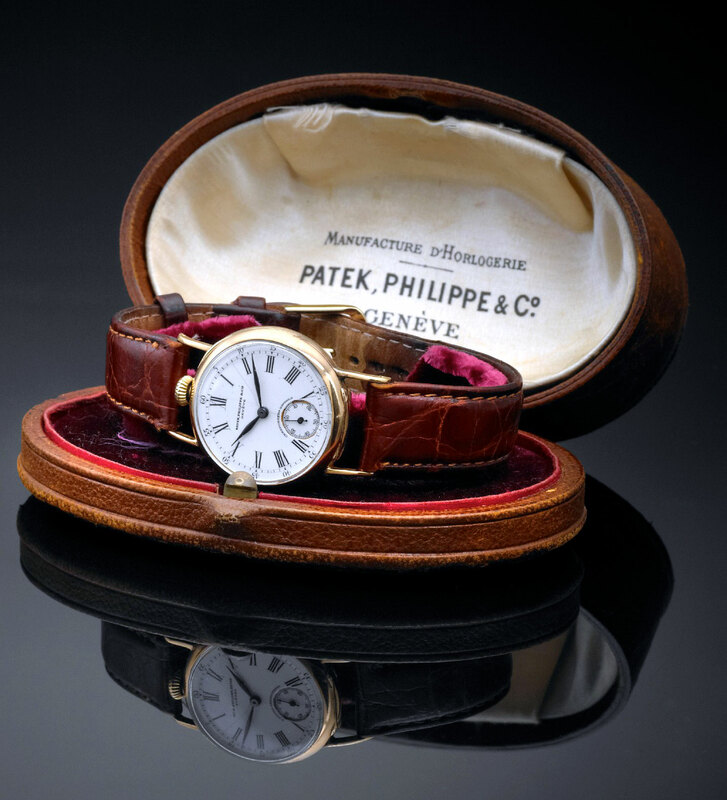 The watch was certified with an extract from the Patek Philippe Archives, and the box in the photos originally came with the watch. Upon close inspection of the dial we see it has painted radial Roman numerals on the white porcelain dial, with 5-minute Arabic markers, and sunken subsidiary seconds dial which also has Arabic markers in 10-second intervals. Also notice the seconds subdial is wrapped with the"Chronometro Gondolo" designation. I believe the reason this watch has extended lugs is in order to keep the winding crown far enough away from the top strap, so the wearer could easily wind the watch and change the time. Below, we see a side view, which is just amazing!!! I include this watch because if you look at the watch in the story below that shows off Vladimir Putin's Patek Philippe, you will notice his watch has elongated lugs...Man, it's old in Brazil!! !